In 2017, Charlottesville mom Bellamy Shoffner started a new online magazine, Hold the Line, "to offer parents socially conscious support and an outlet for activism." She gathered a tribe of writers to take on hard-hitting conversations at the intersection of social justice and parenthood, and the result is a curated collection of words and artistry that challenge misconceptions of representation and equality. 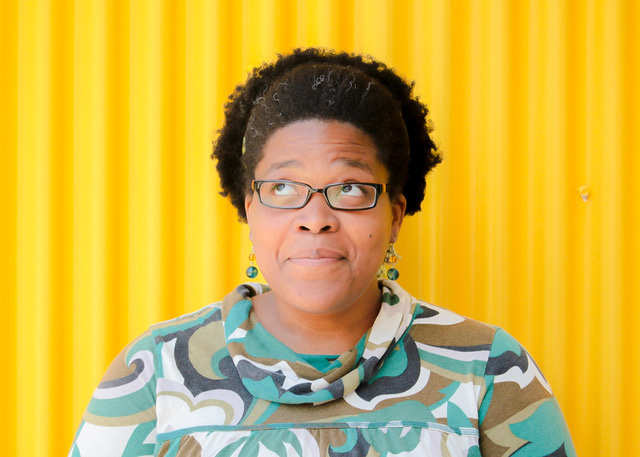 Below, Bellamy shares how one eye-opening experience led her to deepen her social justice work and to step up her own family's efforts to give more to their community. She notes that, "Inequality and divisiveness are so ingrained in our society that often, even as we are professing our liberal beliefs and making posts against injustices, our daily lives are clear examples of perpetuating racism and prejudice." 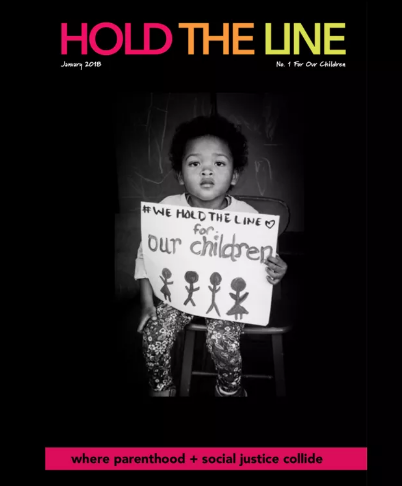 To learn more about Hold the Line, or to subscribe, please visit htlmagazine.com. It wasn't too long ago that my family and I moved to Charlottesville, Virginia, and a series of unlucky circumstances landed us in our new city with very little money and no vehicle. We were concerned about the safety of our housing options, and we wrestled with the physical exertion of having to carry our kids and groceries and laundry to and fro. We didn’t have a lot of hope that we could overcome our string of bad luck. It wasn’t an easy time, but during that period we learned to live with less, and we began to better understand the value of helping others. Small gifts from people who have something can make a big difference to those who have nothing. —Why is it that you might have better access than I do to a doctor who listens to your concerns? —Where can my children go to a school where they will be both surrounded by people who can relate to them and also recipients of top-notch resources? —How can my refrigerator be full of fresh foods while my neighbor’s remains empty? —And, do I care enough to do something about it? The business model of Hold the Line incorporates donating a portion of profits to charitable organizations. This a non-negotiable part of our mission: when we get, we give. But while this act of giving will be of benefit to the chosen organizations, it’s virtually invisible to my own children, who know nothing about profit margins and bank transfers. For my children's sake, I knew that I had to take a more tangible approach to philanthropy to help set the standard for them to become givers when they are out on their own. I’ve spent years talking to my children about responsible consumerism and giving them examples of living with less, but I’d only recently begun to introduce them to the idea that some people have nothing at all. Together, we visited a local day shelter with the intention of finding a way to help reduce the shelter’s kitchen expenses. I was nervous about taking my young kids, and was unsure if they would be welcome or scared. But the experience was transformative in breaking down our barrier to in-person giving. In the kitchen, we learned that the day shelter doesn't use canned goods—so traditional food drives would not be of use to them. We also learned that their highest kitchen expenses are eggs, milk, and coffee—things that cost a little more than a can of peas and are a bit harder to crowdsource. These are items we don’t normally think of when we consider supporting a homeless shelter. We were impressed to find that the day shelter serves its homeless guests a hot, warm breakfast every day of the year. In the guest space, we discovered that the shelter offers a free place to do laundry and take showers and a cozy community room with entertainment. There was even an office space with Internet access and the use of a postal address, which is a necessity for job applications. We were surprised to find that, along with the day shelter, the building housed a number of other organizations dedicated to reducing homelessness in our area. "We were stunned by the 70 clear storage bins that lined one wall. This wall stood out the most." We were stunned by the 70 clear storage bins that lined one wall. This wall stood out the most. Each bin was filled with the entirety of the belongings of one of the shelter guests. My husband and I thought we had known what it was like to feel desperate and like we had nothing, but we'd never been forced to fit our lives into an 18-gallon storage tote. This wall will forever paint my picture of what it means to need. Centering social justice in my work is, in part, my acknowledgment of how I have often failed to be the best example of humanity. It is my callout to the way we all sometimes neglect to think of others first, or at all. On the road to rejecting consumerism, the exit to being a giver is a necessary one to travel. Collecting eggs and coffee from the community and driving them across town to the shelter may seem inconvenient compared to dropping a can or two in a donation bin or adding $5 to your grocery total to donate to charity. However, for my family, we recognize that it's a privilege to have a vehicle that will get us to the shelter. It's a joy to be able to meet with other community members and share a common thread. It's an absolute pleasure to know that we'll play a small part in the big plan to reduce the immense hardship of homelessness. And it's a necessity to show my children that other humans matter. From the visible act of donating, our comfort is intertwined with the comfort of others. We recognize that our successes are nothing without the inclination to share what we have. I hope that I am showing my children that even though we are just months removed from severe financial hardship ourselves, we can be givers. I’m thankful that, from a young age, my children will know that—as people who have been fortunate enough to have something—they can make a big difference to those who have nothing. "Inequality and divisiveness are so ingrained in our society that often, even as we are professing our liberal beliefs and making posts against injustices, our daily lives are clear examples of perpetuating racism and prejudice."